Apple on Thursday launched its awaited Back to School 2015 promotion, offering a free pair of Beats Solo2 wired headphones, valued at $200, with the purchase of a new Mac. 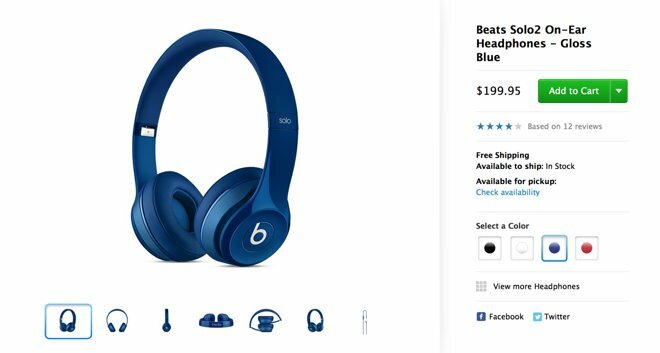 Customers can also pay $100 to upgrade to a pair of Beats Solo2 Wireless Headphones, which retail for $300. The deal was announced on Apple's "Current Rebates" page on Thursday. The deal has begun in Apple's retail stores and authorized campus stores, but it won't start in the online store or via 1-800-MY-APPLE until Aug. 6. The promotion ends in all locations on Sept. 18. As it is a "Back to School" promotion, the deal requires a new Mac purchase by a student or faculty member with education pricing. The 2015 deal is a change from recent years, when Apple offered $100 gift cards with Mac purchases, and $50 with an iPhone or iPad. Shoppers— both students and otherwise —looking to save more money on the purchase of a new Mac can view the AppleInsider Price Guide, which features a number of exclusive discounts on MacBook Pros, the new 12-inch MacBook with Retina display, and more. Deals include up to $200 off the purchase of the latest-generation 13-inch MacBook Pro with Force Touch trackpad.